Why should the chaps and kids have all the fun? Make time on Thursday evenings to come and join a bunch of like minded ladies having fun on the water in our beautiful location. No need for experience, just a willingness to muck in and get a bit wet whilst keeping that grin on your face. Oh, and a nice meal to top off the evening. What’s not to like? Details of the 2019 offering will be available soon. When? Every Thursday throughout May, June and July irrespective of weather and tide conditions. Theory sessions will be run if sailing is not possible. 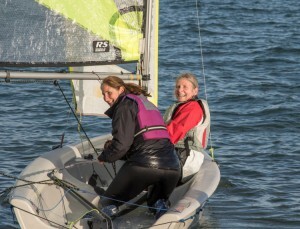 All women wishing to do more sailing. Also open to those wishing to socialise whilst watching the sailing and sunset, or wanting to help prepare a meal. What else is included? A chance to share a glass of wine and have a meal together following the sailing at a cost of £5 per meal at about 8.30. We need help preparing post sailing meal- sign up at the club if you are interested in sharing your culinary skills. 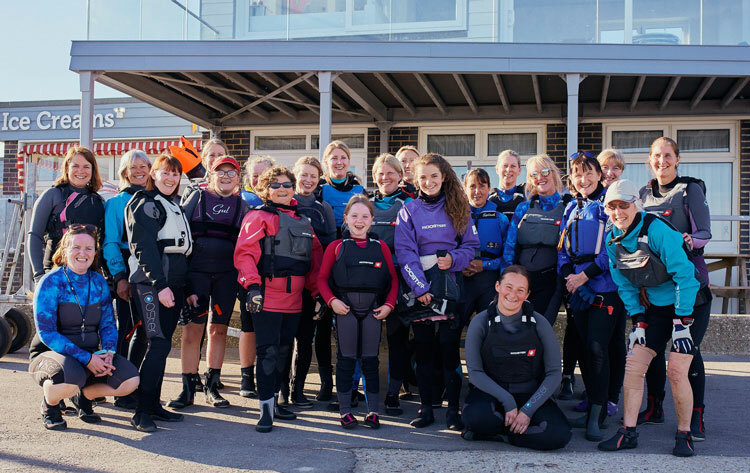 Bognor Regis Sailing Club will be holding their WoW sessions on every other Saturday in May/June/July and August which will be open to Felpham Sailing Club members in addition to FSC WoW Thursday sessions. 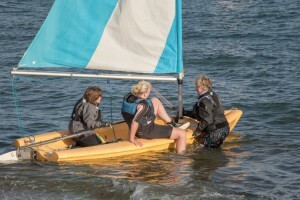 Opportunities at BRSC could include having a go on a multi- hull dinghy (catamaran). Times and date to be confirmed. See Felpham Sailing Club at www.felphamsailingclub.co.uk website for more details of exciting forthcoming training courses and development opportunities, including Start Sailing weekend courses, Race Training and Skills Saturday. Here is the current planned calendar for Women on Water events at Felpham Sailing Club.